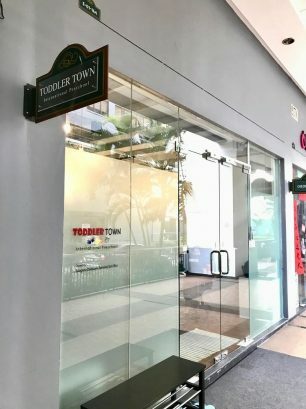 At Toddler Town, we focus on acceptance and inclusion, not just awareness. We want people with autism, and their families, to feel welcomed and supported. This April, we’re sharing stories to increase autism awareness, acceptance and INCLUSION in our communities. We want you to know about autism’s challenges, so you can be more accommodating. But we also want you to know how your life can be better when you include people with autism. People with autism have much to teach us, and they have unique gifts that can make our communities a better place to live for all of us. Our first story will be Dr. Khews' one! 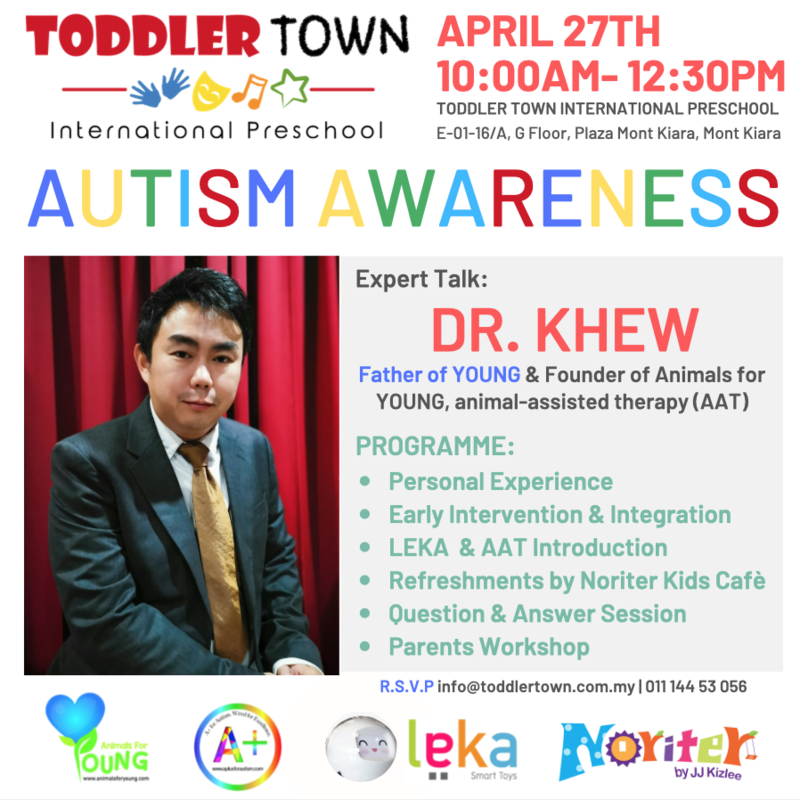 Dr Khew’s son was diagnosed with autism and this spurred him to find effective methods in improving the development of those with the condition. It was at this juncture that Dr. Khew decided to give animal-assisted therapy (AAT) a try for his son, Young Khew-Yap. “Animals give children a warm and secure feeling for them to have the confidence to bond with others." Dr. Khew says. Dr. EJ Khew started Animals for Young (AFY) in Malaysia, a holistic early intervention centre for children autism spectrum disorder, attention deficit/hyperactivity disorder (ADHD), cerebral palsy and Down syndrome. 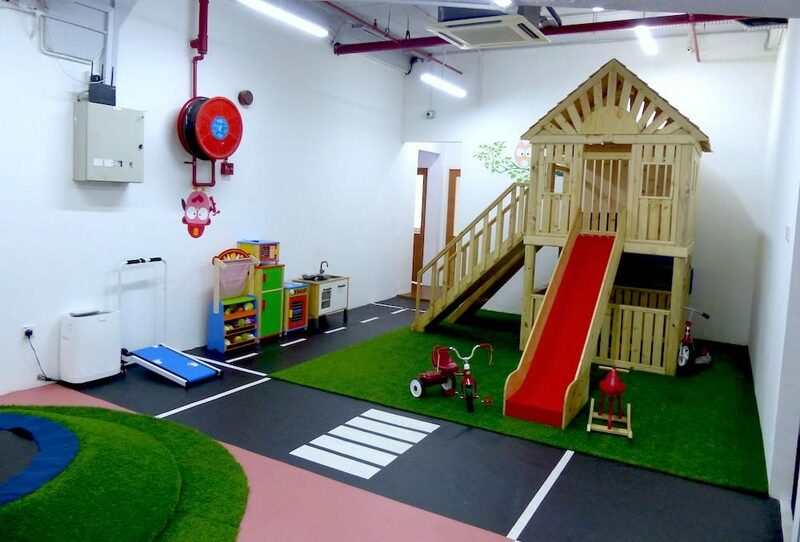 “It is a long process, but early intervention can make a difference in preparing a child to become independent and contribute to society,” Dr. Khew says. Come join us and support our cause for autism at Toddler Town International Preschool!